I just finished another version of the Christmas buffet. Here's the 2nd edition for Christmas...complete with two of my favorite things: cupcakes and polka dots! 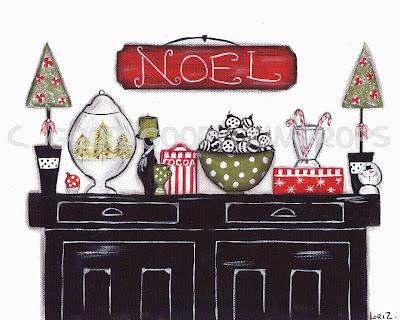 Below is the first Christmas version I did, blogged about here. 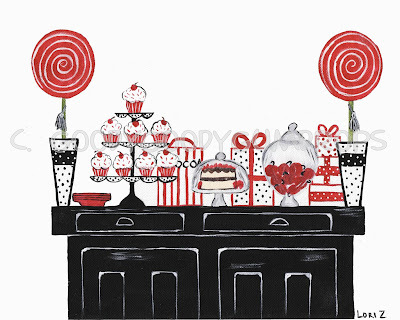 All buffet prints are available on my Etsy and on Ebay. Next up for the buffet series...Valentines!